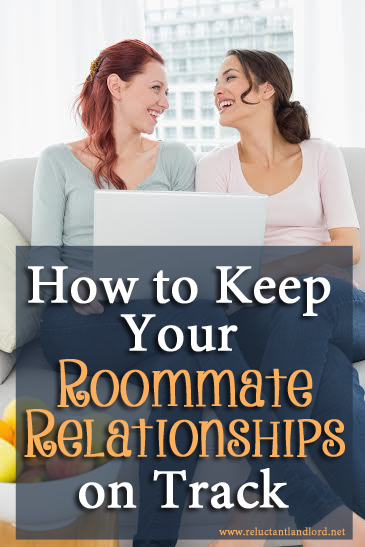 Getting started off on the right foot with roommate relationships is the key to the rest of your success. Roommates are very similar to traditional rentals so treat them ACCORDINGLY! While roommates are a great source of extra income, make sure you start off right by having a written agreement of both of your expectations, especially yours, as the landlord. This is crucial if it is your house! When you are the tenant you can just move out but when it’s your house and your credit score, it’s not so easy. 🙂 As when you are renting out a room in YOUR house, it is important to know that you will have to follow all the normal eviction rules. Make sure you do the same with your roommates! It is even more important with roommates because they not only have access to your hundreds of thousands of dollars of an asset, but also your life because you sleep next door. Now that they are successfully screened, you need an agreement on how you are going to live together. When one rents an empty house everyone tells you to have a lease. When you are renting a room out of your own house this is ESPECIALLY important. Rent Due Date – Specify when rent is due. Method Rent is Deposited – When and how do you expect rent to be delivered (Direct Deposit, Check, Cash, etc.)? 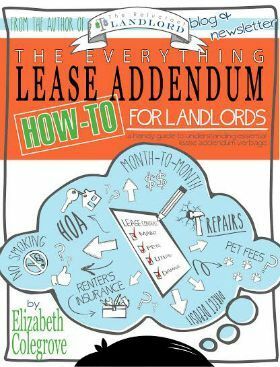 Lease Length – How long of a lease do you want? Lease Notice – How much notice for move out? Late Fees – What are the late fees? Utilities Covered – What utility amounts are covered? Number/Frequency of Visitors – Make sure you spell this out. Otherwise you could suddenly have a frat house, couch sleep overs, or a couple instead of a single person. Defined Common Areas – What area is common and what is your personal space? Housework/Yardwork – Do you expect them to be an active participant or are they just renting a room? If they are expected to be an active participant, what are the rules? Cleanliness Expectation – There are different definitions of cleanliness. What are your expectations? Washer/Dryer – What are the rules regarding use? Food/Stuff Storage – Are they allowed to use the pantry, closets, basements, or garage as storage? Parking – Where do you allow parking? Where are their friends allowed to park? Temperature – What temperature do you keep the house? Are you willing to change it? Pets – Are pets allowed? If they are, what are the rules and expectations? In the beginning, everyone is on the honeymoon. All is well until it is not. I have found the key is to write everything out very specifically. Therefore, when there is an argument it is very easy to refer back to what everyone has already agreed to. I have found that 90% of all fights are based on changing expectations. While this certainly won’t end fighting or disagreements, it will help eliminate arguments over issues already covered. Lots to think about. I need to get my rental agreement written up BEFORE, I can start to think about looking for a roommate. Thank you.